Everybody wants to prevent the accelerated aging of buildings and commercial roofing by eliminating as many hazards as possible. However, your commercial flat roof will not be able to be protected from some fairly common problems. Learn more about what threatens your Minneapolis, MN roof on a daily basis and how to limit damage to your building. Even if you use materials that offer some UV protection, the fact is that the constant heating and cooling cycles experienced by your roof will cause the construction materials to age. They become brittle, will crack, and eventually fail. It is simply a matter of time. So, your property doesn't have any large trees on it. However, when a blizzard or summer thunderstorm rips through town, the high winds can carry bits of wood, metal, and rocks across county lines. A tornado can rip apart the membrane of a flat roof without blinking while the rest of the building stands unharmed. Your roof is the armor against the weather, but even armor can dent. Your pest control program fights the incursion of insects and rodents on a daily basis. However, you probably don't have any traps up on the roof. It doesn't take much for a mouse to get inside. All they need is a tiny hole and their teeth can do the rest. A determined squirrel or raccoon? Ripping aside loose sheathing is the name of their game. Of course, you need bi-annual service on your rooftop HVAC system. Every time the maintenance workers climb up the ladder, they bring their steel-toed boots, a metal box of tools, air cleaners, ladders, and extra supplies. They will move housing that had a weather-tight seal. Membranes, silicone, and even aging asphalt can fail when faced with a hammer, drill, and screwdriver. Who is Up on the Roof? Whether the building houses offices, retail, or apartments, at some point an employee or resident will get curious about what is up the roof ladder. Before you know it there is a private entertainment patio next to the machine room and people are partying on the roofing system. They were only having fun, but the leaks happened anyway. In the end, you simply cannot prevent your roof from experiencing some kind of damage in its lifetime, no matter how good the original construction and materials may have been. 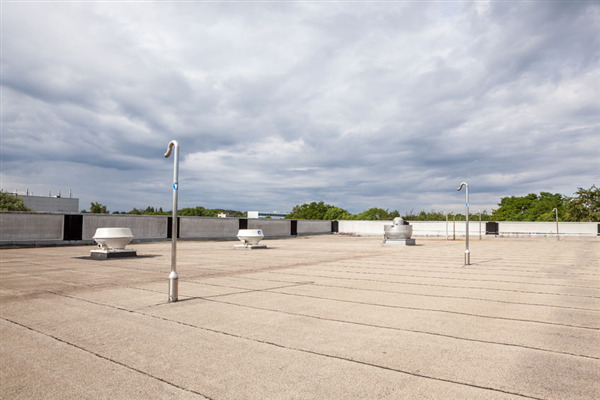 Only a regular commercial roof inspection completed by a reputable company like A-Plus Roofing can prevent those small problems caused by normal wear and tear from turning into major repair jobs. Schedule your inspection by calling A-Plus Roofing today. What Types of Commercial Roofing Systems are Available?